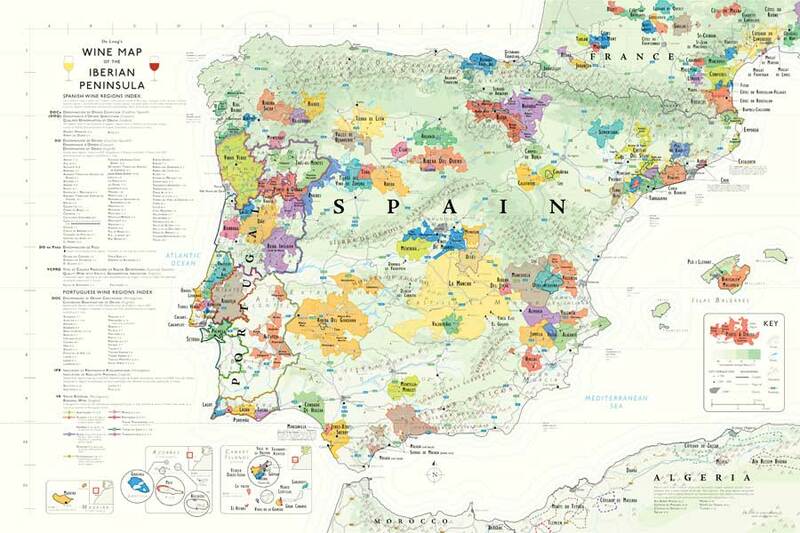 Whether you are learning about wine, or you are a fan of Spanish and Portuguese wines, it would be impossible to find a more technically accurate or better looking wine map of the Iberian Peninsula. Beautiful – 24 by 36 inches, expertly printed on heavyweight acid-free archival paper. Suitable for framing.